Brand new release from CaraCo in TrailsEdge Phase Five! 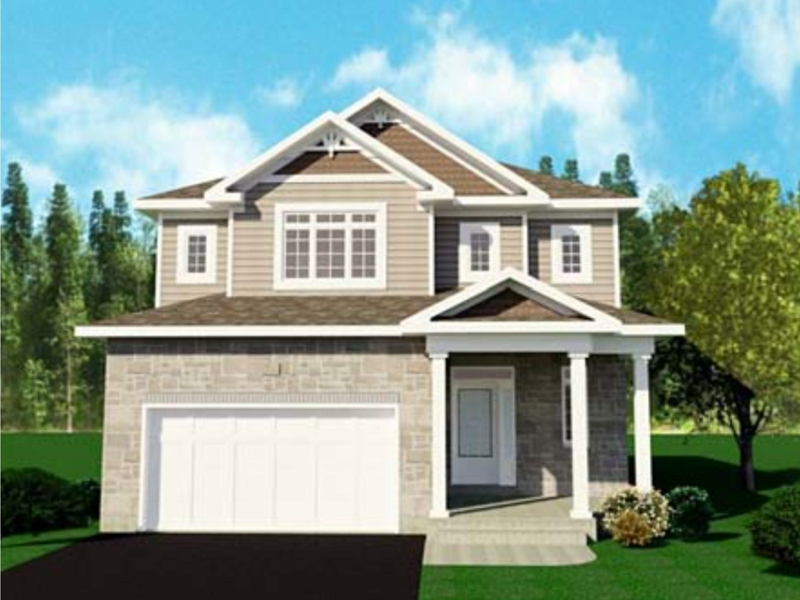 The Parkridge offers 2,620 sq/ft, 4 bedrooms, 2.5 baths with brand new exterior facade package. Loaded with upgrades including hardwood & tile, gas fireplace, 9ft main floor ceilings, upgraded kitchen cabinets plus granite countertops w/under-mount sink, pendant lighting over kitchen island, pot lighting in living/kitchen, main floor den and more. All located in the heart of the city just minutes to shopping, restaurants, recreation with easy access to 401 and Downtown Kingston. Please send me more information on 812 Celeste Drive, Ontario. Thank you.